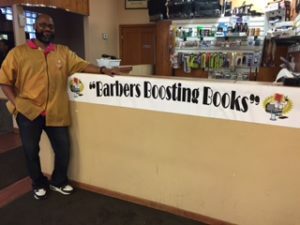 GLC engages the involvement of local barbers to use the barber shop experience as an environment where a natural literacy link can be developed. GLC currently provides the availability of books to read while waiting for a haircut at Lil' Lou's Beauty & Barber College. The need for improved literacy is more critical than ever as our daily life routines demand the use of ever changing technology.